In 2014, I was involved in triggering a federal investigation into Islamic Relief, one of the world’s largest Islamic charities. 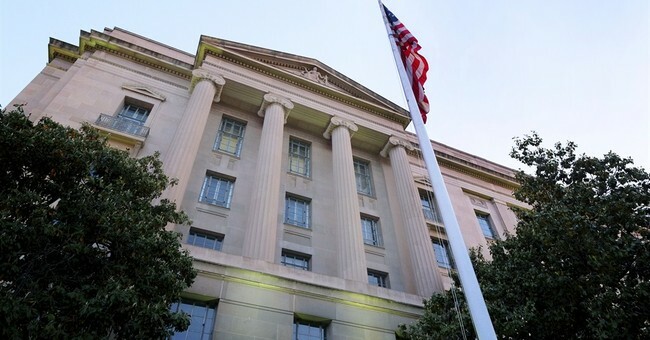 A criminal case was presented by three agencies, whereupon the Obama Administration’s Justice Department astounded the agents involved by declining to prosecute. It is time for Congress to demand answers. It was embraced by both political parties. It even enjoyed close working relationships with the State Department and U.S. Agency for International Development. This raised questions about the vetting process and the influence of Islamic Relief and similar groups on U.S. counter-terrorism policy. The case would be potentially bigger than the one against the Holy Land Foundation, the largest terrorism-financing case in American history. And, if prosecutions occurred, there would likely be a domino effect impacting many other Islamist organizations, in America and around the world. Then, near the end of Obama Administration in 2016, the Justice Department declined to prosecute. Federal agents were stunned. No clear reason was given. The investigation into Islamic Relief continued, but the criminal case presented by the three agencies would not move forward. Indeed, the blowback might have been massive at home and abroad. Islamic Relief Worldwide, the U.K.-based headquarters, has 16 branches including Islamic Relief USA and 26 field offices. It boasted a $156 million budget in 2016 and its U.S. arm listed $115 million in total revenue. It has the resources to fight back in the press, in the courts, and, to influence voters. Federal investigators would likely have been tarred as anti-Muslim bigots. The evidence has only gotten stronger over time. One of Islamic Relief’s senior officials admitted that his organization was founded by Muslim Brotherhood ideologues. Extensive ties to Islamist extremists remain, including ones linked to terrorism. The U.S. wing of Islamic Relief overlaps with organizations that the Justice Department has identified as affiliated with Hamas, which is listed by the State Department as a foreign terrorist organization, and the Muslim Brotherhood. Yet, Islamic Relief has received tens of millions of taxpayer dollars from the West, including more than $700,000 from the U.S. government. The State Department even hailed Islamic Relief as a partner in a July 2017 announcement. It was even advising the U.S. Agency for International Development and State Department at the very same time that Israel banned the group. The Israeli government said it “funnels millions of dollars a year to Hamas institutions.” The United Arab Emirates has also banned Islamic Relief as a terrorist entity. Unfortunately, the handling of the Islamic Relief case is part of a larger pattern. Not a single U.S. charity had been blacklisted for having links to terrorism since the earliest days of the Obama Administration. Since then, a DHS whistleblower has come forward with his story about the purging of important intelligence records, including those related to this Islamist network. And we’ve learned about how the Obama administration let Hezbollah’s operation in America "off the hook" for the sake of the nuclear deal with Iran. Congress should investigate Islamic Relief on its own, to uncover why it has received taxpayer money despite its well-documented history, and to find out why the Justice Department dropped a criminal case that could have been one of the biggest terrorism-related prosecutions in our lifetime. —Mr. Mauro is Director of the Clarion Intelligence Network, a division of the Clarion Project, which exposes Islamist extremism and supports Muslim reformers.